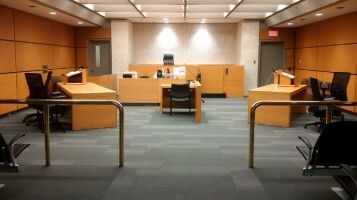 In addition to cases under the?Criminal Code?and the?Youth Criminal Justice Act, the Provincial Court hears cases under a variety of other federal statutes, such as: the?Controlled Drugs and Substances Act, and hears all provincial statute cases, such as those under?The Highway Traffic Act?and?The Liquor Control Act. The Court also presides over inquests under?The Fatality Inquiries Act, and reviews alleged police misconduct under?The Law Enforcement Review Act. Provincial Court Judges are appointed by Order-in-Council of the Province of Manitoba upon the recommendation of a Judicial Nominating Committee comprised of the Chief Judge, three citizens appointed by the Government, the President of The Law Society, the President of the Manitoba Bar Association, and a representative of the Provincial Court judges.